Siblings Tyler and Monica Slaven of DeGraff not only run a successful toy drive they started in high school, but also put on a local clothing drive for the homeless and veterans. 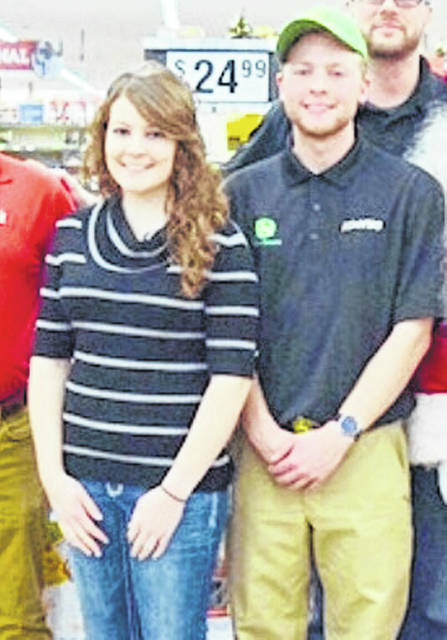 A local brother and sister duo who run a successful toy drive they formed while in high school also operate a clothing drive for homeless families and veterans. “This is a project that my sister Monica and I started back the same year as the Toy Drive,” said Tyler Slaven. The Slavens are collecting new and like-new items. Suggested donations include gloves, scarves, hats, coats, boots, heavy socks, sweatshirts, sweatpants, fleece throws, hand warmers, sleeping bags, lap robes, quilts and blankets (min. size 4’x4’).